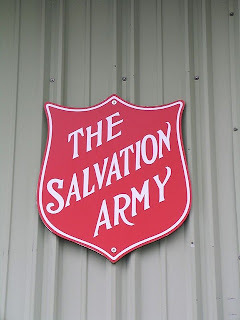 A motorhome is taking a starring role in a Salvation Army campaign to feed the hungry in central Vancouver Island. The campaign, running until December the 15th, will take to the road in an attempt to fill a motorhome entirely with food to be distributed to those who need it. Depending on the size of the motorhome, that's a lot of food! I'd say it will have trouble getting up any of those Vancouver Island hills. It has been donated by Big Boys Toys and will visit Quality Food Stores, Royal Bank branches, and Co-op locations in Parksville, Nanaimo and Qualicum. For Vancouver Motorhome Rentals, visit RV Rental Sale Finder Canada. Brisbane and Sydney are two major cities which lie on Australia's temperate and popular east coast. A road trip between the two will take you along some amazing surf coast and past a huge number of national parks, as well as through a lot of fun east-coast cities and towns. If you love beaches, this is the Australia road trip for you! Brisbane is no longer the country cousin of Sydney and other cities, but is a bold, modern, up-and-coming centre of commerce and culture. the city is located on the Brisbane River and is warm year-round, hot in summer. The CBD and South Bank areas are great for wandering, having a coffee and doing a spot of shopping. The City Botanic Gardens are right near the CBD in a loop of the river, and Brisbane has many museums, a planetarium, a koala sanctuary and is home to the Queensland Cultural Centre which includes a number of organisations dedicated to conserving art, music, history and knowledge. Directly south of Brisbane you will come across the famous Gold Coast. This part of the seashore is a wonderland of sandy beaches, inland waterways, high rises, cafes, restaurants, shopping and nightlife. Several suburbs are strung out along the coast, centered around Southport, Surfer's Paradise and Broadbeach. The main drawcard is the beaches, but the Gold Coast is also home to several large amusement parks- Dreamworld, Movie World and Wet n Wild. Don't come to the Gold Coast looking for peace and quiet- it's a place to party, people watch and and enjoy the sun, surf and sand. After the Gold Coast, you will cross into the state of New South Wales. The Highway One does not follow the coast but with a short side trip you can visit the many beach towns of northern New South Wales. Byron Bay is a relaxed and lovely town with lots of beaches, a great place to spend a few days. Nearby is Arakwal National Park, a beautiful coastal area which is home to native birds and frogs. It has a 3km stretch of untouched (and unpatrolled, so be careful) beach for strolling. Ballina is the next big coastal town, on the Richmond River estuary. Here you will find great shopping, beaches and opportunities for watersports in the estuary. You can also take a guided tour of the historic Ballina Manor, and there is a maritime museum in the town. Highway One passes through a part of New South Wales that is thick with National Parks. One of these is Bundjalung National Park, which has not only greenery but rivers, lagoons and beaches. You can camp there in beachside camping grounds. Also in the area are the Devil's Pulpit State Forest, Double Duke State Forest, Broadwater National Park, and further south, Yuraygir National Park which has some absolutely stunning coastline. The forests and parks continue down the coast, where you will also come across Coffs Harbour. It is a popular family holiday destination between the mountains and the shore. All tourists should have a picture taken at the Big Banana, the original Big Thing, and check out the kitschy banana-themed souvenirs. Off the coast there is a marine park which is great for scuba diving, the Solitary Islands. Whale watching and dolphin watching tours are available from the town, as the sea-going mammals are common along this coast. Down the coast towards Sydney the beach towns, parks and forests continue. Nambucca Heads is a short detour off Highway One, and you will find amazing landscapes, beaches, foreshore boardwalks, rainforest walks and the Headland Historical Museum where the Nambucca River meets the sea. Further south and also off the highway is Hat Head National Park, a coastal area of wetlands, rainforest and sand dunes. Port Macquarie is a large town with plenty to see and do, be it shopping, eating, cultural or natural attractions. The highway passes several more towns including Taree and Forster before entering Newcastle and then Sydney. Australia's biggest city, Sydney is full of art, fashion, commerce, cuisine and stunning beaches. From the central Circular Quay you can take a ferry across the harbour to the beachy and laid-back Manly, and on the coast south of the harbour mouth the famous Bondi Beach is to be found. Inland is the historical neighbourhood of Parramatta. The Harbour Bridge and Opera House are Sydney's landmarks, and nearby you will find the Royal Botanic Gardens and Luna Park, a theme park. The Taronga Zoo is worth a visit, especially for families. Sydney is a bustling and modern city, so take some time to explore and enjoy! There are plenty of holiday parks and campgrounds around the place so you can park up and visit the city. For campervan hire Australia and some great deals, have a look here! One Way Relocation Deals in New Zealand! Motorhome suppliers sometimes find themselves with the dilemma of surplus vehicles in one city when they need them in another. Their problem can become your bargain holiday with our Relocation Specials! If you are flexible with your holiday dates and can book quickly when the opportunity arises, this is the deal for you- you could have an awesome short break getaway at very little cost just by doing a one-way trip. See a whole lot of New Zealand without paying a whole lot of cash! Our Alpha relocation special is for pick-ups from Christchurch from now and drop-offs in Auckland by the 5th of October. The first 3 days will be free of charge and additional days heavily discounted at only $60 a day, less than half the usual price. Even ferry tickets for the Cook Strait crossing are included in the deal. Get in quick and check out campervanhiresalefinder.co.nz to get your super cheap road trip started! Traverse Australia- Darwin to Adelaide! A trip from Darwin to Adelaide is one of epic proportions and epic scenery. It crosses the formidable Outback and takes in both the tropical north and temperate south of this island nation.. or is it a continent? Either way, the journey will be an interesting one, and a campervan is the perfect way to do it. A vehicle and accommodation in one, it will allow you to sleep when needed, and pull over to brew a cup of tea when the views are particularly drool-worthy. Darwin lies at the northern end of the Stuart Highway, the main route between the two cities which dissects Australia more or less straight down the middle. The city is not huge, but it is relaxed, multicultural, and blessed with sunshine and heat. Visit the markets to experience the melting pot that is this unique city! Near Darwin is the amazing natural and cultural feature that is Kakadu National Park. It is a huge area which covers a great variety of landscapes, and is owned by and home to native aboriginal peoples. The land ranges from estuaries to stone country to hills and basins, and the park is home to a huge range of wildlife, as well as some instances of unique Aboriginal rock art. Once on the road proper, Katherine is the first town you will come across. Waterways are one of the town's biggest drawcards- it is located on the Katherine River and watery scenery includes gorges and waterfalls. From here, it is mostly outback all the way to Alice Springs, with only small towns along the road. Outback driving is a little different than other places. Be sure to watch your speed on the long, straight roads as it is easy to lose track! Drive with headlights on so other cars can see you in the dust, and remember that Aussies drive on the left. Be aware of the humungously long 'road trains,' and enjoy the views! Daly Waters is another town you will come across on the journey south. It is a tiny spot with a population of 23 people, a few buildings and a famous hotel. Tennant Creek is further along, a bigger town which is close to the Mary Ann Dam, a popular spot for biking, hiking, swimming and picnicking. Many of these little towns will have campervan parks where you can lay your head- such as the Emerald Springs Roadhouse near the Kakadu National Park, the Riverview Tourist Village in Katherine, Three Ways Roadhouse near Tennant Creek and the Barrow Creek Caravan Park further south. Free camping is a bit of a complicated subject, but well worth the research. Many will just stop for the night wherever they like, and this is usually fine. However, permission should be gotten from landowners to stop and camp on private land. Closer to towns there are also more restrictions. Also, etiquette and common sense apply- do not leave anything behind! Take all rubbish and waste with you, do not put soap into streams and waterways, and just be generally respectful. Free camping in the Outback is a great (and cost-effective!) experience if the rules are followed. Halfway between two cities you will come across an urban oasis in the Outback- Alice Springs, known fondly to locals as 'The Alice.' This outback city is right at the heart of Australia, a hub for those wishing to explore the surrounding landscapes, including the famous Uluru or Ayers Rock. Nature enthusiasts will enjoy the Desert Park, Reptile Centre and Botanical Garden. Stargazing is especially amazing here, due to the isolated nature of the city. There are several historic sites to visit, including the National Pioneer Woman's Hall of Fame! If you have a few days in the Alice, get out of town and give alooning or quad biking a go, and be sure to visit Uluru. Below Alice Springs, your journey will take you across the border form Northern Territory into South Australia. There are yet more charming small towns along the Stuart Highway where you can stop in for a beer or for the night- Kulgera, Agnes Creek and Marla are amongst these. A detour will take you to the beautiful Lake Eyre National Park. The lake is the country's largest salt lake, and is home to multitudes of water birds. Coober Pedy is a larger outback town in South Australia, known as the Opal capital of the world. Opal mines are a popular attraction and half the population actually lives underground due to the hot and dry climate. Another interesting fact of life here is the way people play golf- the course has not a single blade of grass, and players take a piece of turf with them for teeing off! As you get closer to Adelaide, lakes and rivers become more and more common- it is a watery part of the country! Lake Gairdner and Lake Torrens flank the highway, and at Port Augusta you will come across the ocean! This town is at a crossroads, as it is where the north-south highway meets the east-west highway from Sydney to Perth. Adelaide is your Final Destination, and it's a nice one. It is full of beautiful architecture, great shopping, arts events and awesome cafe strips, and it's in wine country! Wine regions within a day's drive include Barossa Valley, McLaren Vale and Clare Valley. 'Mad March' in Adelaide is the time for many art and culture-based festivals and events, and there are plenty of things to keep visitors entertained during the rest of the year, too. Adelaide has some great swimming beaches, and the historic beachside suburb of Glenelg is a great place to enjoy the waterfront. Adelaide Hills provide great views of the city, and there is a German settlement in the city called Hahndorf which is home to a chocolate factory and strawberry farm. Art galleries and museums abound in Adelaide, and there is also a zoo. Have a look here for great deals on Campervan hire Australia! Dunedin is the second-largest city in New Zealand's South Island, a city of students and Scottish heritage. It sits at the head of the Otago Harbour, surrounded by hills and beautiful farmland. The locals are friendly, and over a tenth of the population is made up of students who come from all over to attend the University of Otago, New Zealand's oldest university. It has warm, pleasant summers and quite mild winters, with snow happening occasionally but not every year. Dunedin offers many things to do and see. One claim to fame is Baldwin Street, the world's steepest street. The Cadbury Chocolate Factory which accounts for 75% of New Zealand's chocolate production is also based here. A must-visit place! Another Dunedin landmark is the Speights brewery, home of the "Southern Man's Beer." Larnach Castle is another of Dunedin's well-known attractions and is a reminder of the Scots who settled the area. To get acquainted with the heart of the city, visit the Octagon in the city centre- Dunedin's answer to a city square! There is a Royal Albatross Colony at Taiaroa Head, 40 mins from Dunedin which makes an excellent campervan day trip out of the city- the road skirts the ocean along the Portobello Peninsula which borders Otago Harbour. Also out this way is Penguin Place, a conservation project dedicated to yellow-eyed penguins. It is a nature reserve, a working sheep farm and home to many yellow-eyed penguins. Here you can take a penguin tour to see these unique birds without disturbing them. There are beaches both in the harbour and on the open coast. St. Clair on the coast ten minutes from the city is very popular and has great surf. A bit further down the coast is the stunning Tunnel Beach, which can be accessed from the clifftops via a tunnel cut in the rock. Down the coast from Dunedin is the Catlins coast, a very pretty are to drive through on the Papatowai Highway, and a campervan makes it even better- you can stop and make a cup of tea whilst enjoying the rugged landscape, podocarp forests, lakes and waterfalls. Invercargill is not far away, the country's most southerly city. From here, visit Bluff which is the end of the South Island and a port renowned for it's oysters! 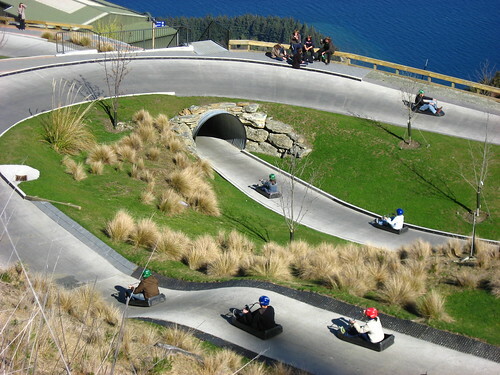 Heading inland from Dunedin will get you to gorgeous Queenstown in about 4 hours, through pretty Alexandra and the hydro-dam town of Cromwell. 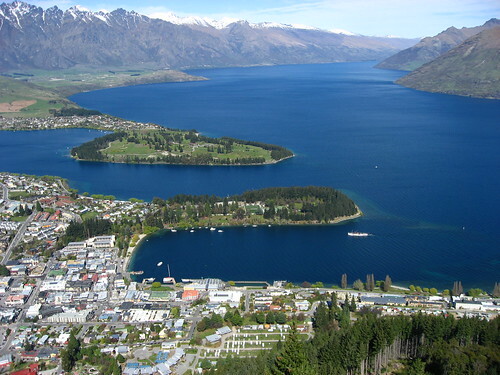 Queenstown is a beautiful all-year resort on the shores of Lake Wakatipu. 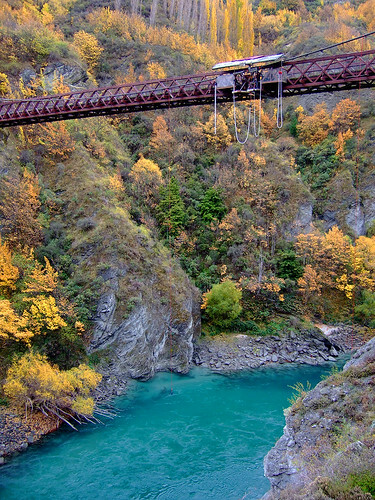 It is known as the Adventure Capital of the world, popular for bungy jumping and luging in the summer and snowsports in the winter. 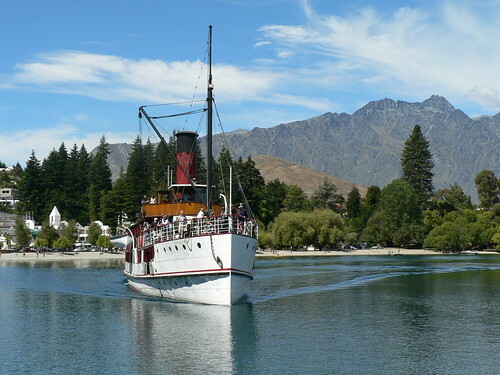 Wanaka is also nearby, another lakeside city that is more peaceful than the busy Queenstown! Have a look here for some great deals on Dunedin campervan hire, so you can explore the southern part of spectacular New Zealand in style! New Zealand's summer is a popular period for motorhome rental- beaches, scenery and friendly locals attract many nomadic holidaymakers both domestically and internationally. Rentals are booked out fast- people often don't get the van they want, or can't get one at all! Booking ahead is essential for summer in the Land of the Long White Cloud- so plan ahead! To sweeten the deal when booking your far-off holiday on the road, Motorhome Republic has negotiated some great Early Bird Deals, available for a limited time. Visit Motorhome Republic now to get in while the discounts are on! See some of the east coasts of bot the US and Canada with this 3-day trip! Boston, one of the oldest cities in the States, is the capital of Massachussets. It is a city of learning and culture, with a number of schools within the city limits- including, of course, the famous Harvard. There are a number of museums for visiting, some of which include the Museum of Science, the Children's Museum and more. Sports fans should tour Fenway Park, and there is also a Sports Museum! Heading out of Boston, get on the I-95 and start up the coast, through New Hampshire. The historic port of Portsmouth is a nice spot to stop, a very historically and culturally rich town on the border of New Hampshire and Maine. There are beautiful beaches here as well as a number of museums- a submarine converted into a museum, an American Independence Museum, a Children's Museum and more. Continue up the coast of Maine and through several towns such as Biddeford- remember to stop somewhere for some of that famous Maine Lobster! Portland on the coast is home to more than a third of Maine's population and another historical port. It is a haven for foodies, so maybe get your lobster here! The highway heads away from the coast after Portland. If you want great water activities, head off the route a bit to Sebago Lake- head along Main Street which becomes Cumberland Street then River Road out of Portland. This large lake is great for swimming and boating. For Augusta, exit onto ME-11. Augusta is the capital of the state, a small city with plenty of art and nature to see and visit, for example the Pine Tree State Arboretum, the several parks in the city, America's oldest surviving wooden fort and the Maine State Museum. Park up for the night at an RV Park and get some sleep before the next leg of the journey! See some of the countryside that Maine is famous for on this drive to Millinocket. Continue on the I-95 north past the many small lakes and through Waterville on the bank of the Kennebec River. Lakes abound along this part of the route, such as Sebasticook Lake and Hermon Pond. The next city is Bangor, which has a lovely riverfront for strolling as well as lots of nature trails. Shoppers will delight in the city's 2 indoor malls and many shopping centres. Harness racing happens here from May-July, and worth a visit is the Bangor Museum and Centre for History which offers 'Best of Bangor' tours during summer. Cross the beautiful Piscataquis and Penobscot Rivers and exit onto Medway Road/ME-11 to get to Millinocket, across Dolby Pond. Millinocket is a former mill town and located very close to many lakes, making it the perfect place for those who love the outdoors and outdoor recreation. Get back on the I-95 heading north towards Canada, through Island Falls and Oakfield. The city of Houlton is just before the border, where you can see well-preserved Victorian houses from when the city was extremely wealthy due to potato and logging industries. Canoeing and ATV riding are high on the list of favourite pastimes for locals and visitors, so try them out if you get a chance! After Houlton, cross the border into Canada- and enjoy the brief moment of being in 2 countries at once! Exit right onto NB-2/ Trans-Canada Highway when you reach the junction and follow along beside the big and beautiful Saint John River. There is an RV Park at Woolastook where you can day park (Or spend the night if you like!) to enjoy the facilities and the river which spreads out here as it turns a corner. Fredericton is not too much further along the highway- get off onto NB-8 for the city. It is set on both sides of the river so is wonderfully picturesque and has miles of riverfront trails to meander along! The Kings Landing Historical Settlement is a great way to get a taste of life there in years previous, and the Lighthouse on the Green is the spot for great food, visitor information, a Play and Learn exhibit for the kids, and bike rental. Head out of Fredericton on the opposite bank of the river to that on which you arrived- following NB-105. Along here is the Portobello Creek National Wildlife Area and Grand Lake Meadow. Soon the road joins back up with NB-2/Trans-Canada Highway. The next major city is Moncton which is at the base of the Nova Scotia peninsula. This up and coming city is full of things to do- There's the Magic Mountain Water Park, the 280-acre Centennial park in the centre of the city, several beaches and a perplexing natural phenomenon- the Magnetic Hill, in which your car when placed in neutral will roll backwards- seemingly uphill! Continue on the highway through Sackville on the water, where you will find marshes and coastal cliffs. The Sackville Waterfowl Park is great for bird watchers, and the Boultenhouse Heritage Centre will give visitors a glimpse of Sackville's seafaring past. The Highway will take you through or past several more cities and towns as you proceed onto the peninsula- Amherst, Oxford, Truro. Halifax is quite a drive- right on the outer coast of Nova Scotia. Based around a bustling harbour on a rocky and dramatic coast, it is a lovely place to visit. It is a university town, meaning it has a fun and youthful vibe and there are a lot of festivals and events at various points during the year. If you're lucky, you might be there for the Atlantic Jazz Festival, the Atlantic Fringe Festival, the Nova Scotia Multicultural festival or one of many others. Have a look here for a full list! If you have time left on your holiday, why not explore Nova Scotia using Halifax as a base? See here for USA RV Rental, or here for Canada RV Rental! You've just spent a lot of dosh on a big wedding and have dreams of owning a house soon in your wedded bliss and the thought of spending a fortune on your honeymoon is just too irksome. But consider this: Cruise from beach to beach, mountain terrain to mountain terrain, or stay in one perfect location in a Motorhome. It's a lot cheaper than a hotel but a lot more luxurious than a tent, cabin or even motel. You can park up beachside (a hotel with that kind of vicinity would be pricey), set up the deck chairs and relax with your lovely spouse. Head to an area that would only house way too expensive hotels, park your motorhome and enjoy. The Motorhome is private, not too hot in the sun or not too cold in the winter. You have the flexibility to stop wherever you want on the road, whenever you want, and go into the back for a... snuggle. Hear the ambient rain on the roof if it rains, or cook up a romantic meal to impress the lady. Whatever country you're in, drive from place to place if that suits you or stay in one place. Hey, the flexibility of a motorhome allows you to do both. Plan to stay in one place, then change your mind and move onto another. It's that easy. A Campervan Honeymoon will be a romantic holiday you won't forget. A cosy time with your new spouse and it won't cost you the earth. Find a Motorhome for your Honeymoon at Motorhome Republic!